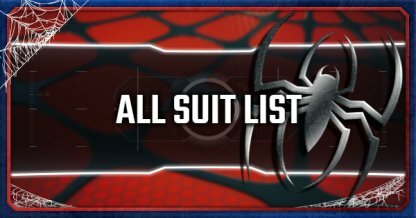 Find all unlockable skills available in the Spider-Man in this comprehensive list! 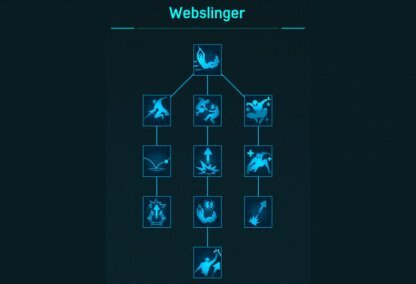 All skills from Innovator, Defender, and Webslinger skill trees and their effects can be found here. 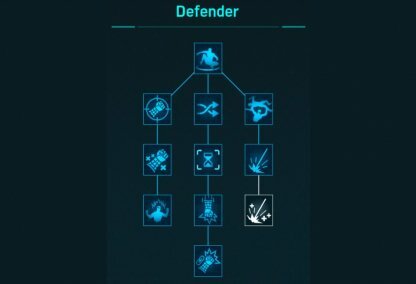 Here is a sample Skill build guide you can follow to get a well-balanced performance for your character as soon as possible. This build's focus is on improving your survivability and lethality in combat with the use of Focus and mobility. 1. 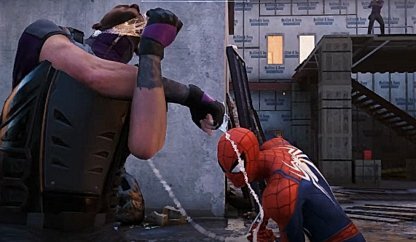 Perfect Dodge Press ◯ just as your Spider Sense turns blue to counter enemies with a web shot to the face. Generates bonus Focus. 2. Swing Kick Hold □ while in the air to Swing Kick enemies and send them flying. 3. Web Throw Hold △ to grab and throw webbed and electrified enemies. They can be tossed into other enemies or walls. 4. Dodge Window Increases timing window for Perfect Dodge and Web Shot Counter, making it easier to accomplish. 5. Air Marshal Air attacks deal additional damage and generate more focus. 6. Perfect Hit Press ☐ just as an attack lands to generate bonus Focus. 7. Combo Booster Improves Focus gained at higher combo counts. 8. Last Stand Slows time just before you take a fatal hit, giving you one last chance to dodge. Can only be used once per combat encounter. 9. Payback Press △ after Perfect Dodging rifle and pistol enemies for an instant takedown. 10. Chain Finisher Immediately perform a second Finisher to basic enemies. 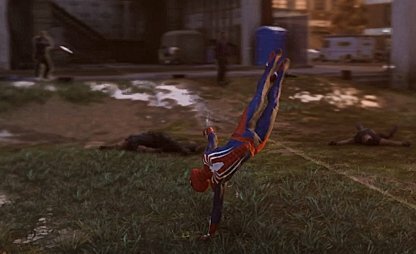 Be able to use web enemies to your advantage by throwing them to their friends. Throw will also let you chuck enemies off buildings to take them out quick. Payback enemies who try to attack you with the perfect dodge. Enemies hit with this will be immobilized for a few second, giving you enough an opening to take them out or time to deal with other enemies. Armed enemies can be a pest during battle, especially when you're in the midst of a melee fight. Payback will allow you to instantly takedown armed enemies once you perform a perfect dodge! 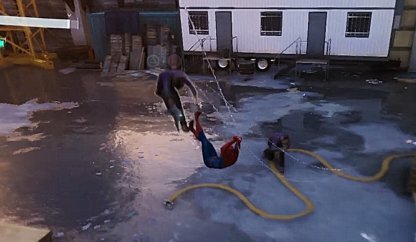 Take out two enemies at once and look cool while doing it with Chain Finisher! It will only consume 1 focus bar, saving you focus for healing, and give you breathing space. Save yourself from a fatal blow with the Last Stand. This skill will allow you to dodge a fatal hit and give yourself a chance to recover! 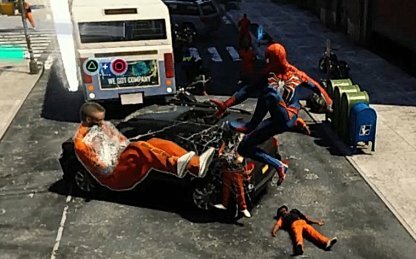 In Spider-Man, air battle is both offensive and defensive as it keeps Spider-Man away from most ground based enemies. Use Swing Kick to prolong your air time while still dishing out damage. Web Throw Hold △ to grab and throw webbed and electrified enemies. They can be tossed into other enemies or walls. 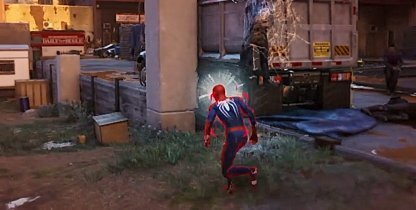 Hazard Zone Web throw knocks enemies down during the wind up, clearing the immediate area. Spin Cycle When throwing an enemy, rapidly press △ during the throw to continue spinning enemies. Extended Perch Takedown Increase Perch Takedown range. Scare Tactics Stealth Takedowns generate much more Focus. Pistol and Baton Yank Hold △ to yank small arms like pistols and batons right out of enemies' hands. Rifle, Shield, and Launcher Yank Hold (△ to yank heavy arms like rifles, launchers, and shields away from enemies. Yank and Throw Hold △ to hurl yanked weapons back at enemies with concussive force. Surprise Attack Press L1 + R2 to throw rockets back at enemies. 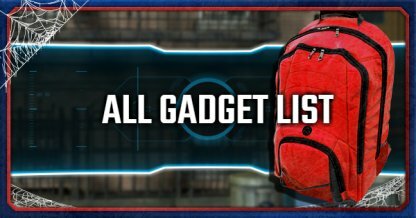 Perfect Dodge Press ◯ just as your Spider Sense turns blue to counter enemies with a web shot to the face. Generates bonus Focus. Perfect Hit Press ☐ just as an attack lands to generate bonus Focus. Combo Booster Improves Focus gained at higher combo counts. Vengeance When below glad health, attacks generate focus faster. Dodge Window Increases timing window for Perfect Dodge and Web Shot Counter, making it easier to accomplish. Last Stand Slows time just before you take a fatal hit, giving you one last chance to dodge. Can only be used once per combat encounter. Payback Press △ after Perfect Dodging rifle and pistol enemies for an instant takedown. Chain Finisher Immediately perform a second Finisher to basic enemies. Throw Press ☐ then hold △ to grab and throw an enemy in any direction. Ground Strike After leaping off an enemy or from air combat, press ☐ + X to smash the ground with force. Epicenter Ground Strike has a larger blast that can knock enemies down when used from higher elevations. Swing Kick Hold □ while in the air to Swing Kick enemies and send them flying. Point Launch Boost Press X on contact with point to massively boost Point Launch distance. Air Marshal Air attacks deal additional damage and generate more focus. Air Yank Hold △ while in the air to yank enemies upwards and enable air combat moves. 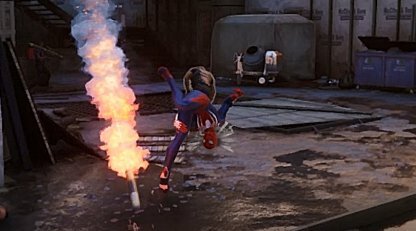 Bunker Buster Swing Kick will now knock over shield enemies. Blast Off Air Launch attacks knock back nearby enemies. Has a short recharge time between uses. Air Tricks Hold △ + ◯ and press the Left Joystick in a direction to perform aerial tricks to earn extra Focus and XP. Quick Recovery Press X during a roll after landing to launch back into the air. Charge jump Press R2 + X while running or standing to build up chanrge then release X for a huge leap. 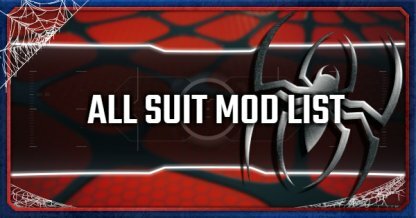 Skills unlock new combat and movement actions for Spider-Man making him more agile and deadly in and out of combat! 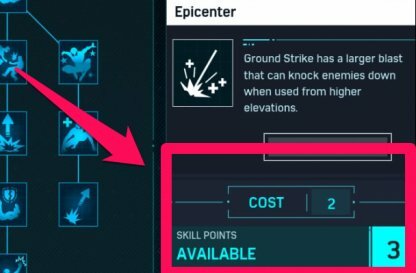 Skill points are needed to unlock skills. 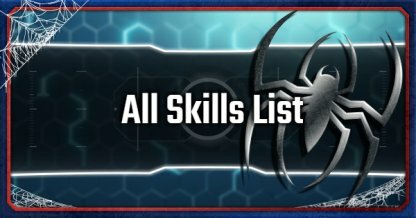 Certain skills take more skill points to unlock and some have require previous skills before they can accessed. 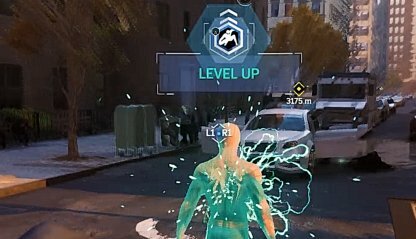 Every time Spider-Man levels up, he gets a skill point that he can use or save up to get skills! 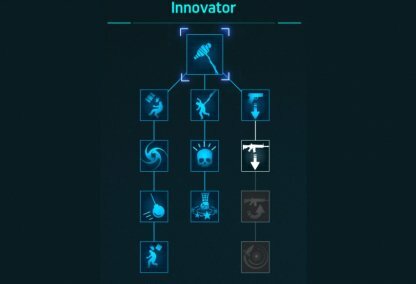 Players can unlock all the skills in all 3 skill trees in one playthrough. You need 50 skill Points to unlock all the skills.